Remodeling the bathroom is an ambitious project. Fortunately, ProSource® of Austin makes the undertaking easier by serving as your one-stop resource. Enjoy high-quality products at low wholesale prices, as well as expert remodeling advice from our showroom specialists, at ProSource. 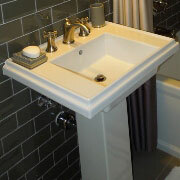 The bathroom sink is a simple design but can add a complex and nuanced feeling to any bathroom. 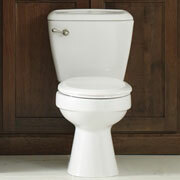 At ProSource, you’ll find under- and above-counter options, as well as pedestal mounted sinks. With so many options, you will find the perfect sink for your project. 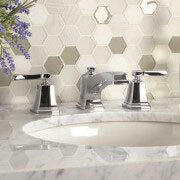 In many bathrooms, the faucet may not be noticed because it seamlessly matches the rest of the bathroom decor. But when it doesn’t, it sticks out like a sore thumb. Don’t settle for a faulty faucet. Find sink faucets in all styles, colors, and configurations from the industry’s top brands at ProSource of Austin. You can sculpt a simple shower into a private retreat with the broad range of shower products at our showroom. 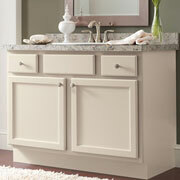 Freshen up the design with a new door, handles, and shower head, from high-quality brands. The nature of bathrooms makes them busy spaces, but that doesn’t mean they must be cluttered. A vanity effortlessly conceals how everyday bathroom business is conducted. Match a new vanity with the bathroom design through a selection of colors and sizes to have a truly enviable addition to any bathroom. Few things are as relaxing as a nice long soak in a tub full of warm water. The only thing as relaxing is browsing the immense selection of tubs at ProSource. 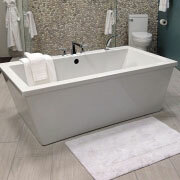 Our team members work with you to select a tub that will delight. As a staple fixture in any bathroom, it’s worth putting some thought into a new toilet for your bathroom remodeling project. We offer toilets in a broad palette of colors and materials, as well as eco-friendly options for a water-conscious approach.